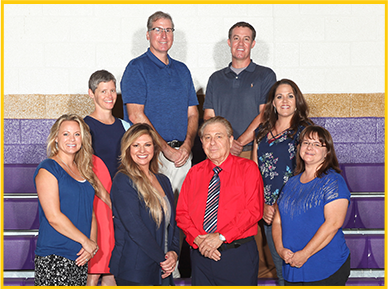 Our Guidance and Counseling Department is here to serve our student community by providing the information and resources students need to achieve their academic and career goals. We encourage all students to meet regularly with their counselor; we’re armed with information you need and happy to help. 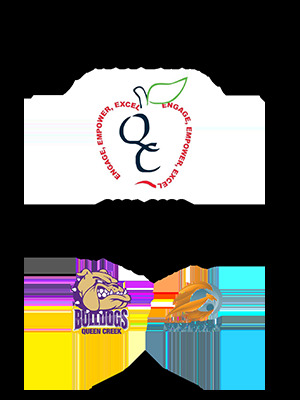 The students at Queen Creek High School are valued as unique individuals who will graduate from high school with critical thinking, problem solving, and technical skills that will prepare them to compete in a 21st century global society. By having access to a comprehensive school counseling program, all students will receive academic, career, personal, and social development support so that they may be college and career ready as they make the transition to future life aspirations. 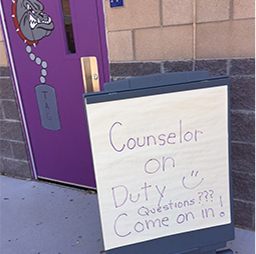 Professional school counselors lead Queen Creek High School’s comprehensive counseling program. These school counselors collaborate, facilitate, and advocate actions that support student success. Our goal is to deliver services in the three domains of academic, career, and personal/social development and to have every student develop an Educational and Career Action Plan as we address the unique needs of the individual learner. School counselors provide every student the opportunity to acquire the knowledge, skills, and attitude for a productive future through individual, small group, and large group activities with respect for social and cultural differences. Our program promotes lifelong learning and encourages our students to make positive contributions to their community. 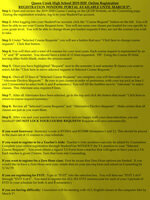 For your convenience, we will post upcoming scholarship opportunities on our College and Career Center page. Please stop by the College and Career Center in A111 about upcoming events that will take place during achievement hour with colleges, vocational schools, and military. December 14 - EVIT Field Trip to Main Campus (sophomores) 9:00 a.m.
January 31 - EMPACT Presentation (Suicide Prevention for Parents) 6:00 p.m.
April 24 - ASVAB Testing Seniors from 8:00 to 11:30 a.m.